A measure on the ballot in California this November may have the support of medical malpractice attorneys, but it has doctors scared. The measure, Proposition 46, would increase the state’s limits on what can be paid in pain and suffering awards in lawsuits and require that all physicians be drug tested. According to a recent news article, however, only 61 percent of voters say that they support the measure. Pain and suffering awards in medical malpractice suits in California have been capped at $250,000 since 1975. Proposition 46 would allow for pain and suffering awards to increase to $1.1 million. Most states do have damage award limits such as the one California is proposing to increase. In fact, Connecticut and Minnesota, reports the National Conference of State Legislatures (NCSL), are the only two states that do not specify a specific limit or cap on medical malpractice payouts, though both states “allow for a court to review the damage awarded.” Twenty-six states allow for joint liability for medical malpractice, and Connecticut is among them. Joint defendants are considered liable proportionate to the percentage of fault for damages awarded. According to the Journal of the American Medical Association and reported by Forbes, medical malpractice is a leading cause of death in the United States, third only to heart disease and cancer. In 2012, more than $3 billion was awarded in medical malpractice suits. That is an average of one approved claim every 43 minutes. Despite not having caps on medical malpractice payout claims for Connecticut patients, the state does have a rule that establishes a limit or sliding scale on fees attorneys may charge for handling a medical malpractice claim, according to a publication of the Connecticut State Legislature. While medical malpractice is not the fault of the patient, there are several things you can do to help avoid the probability of experiencing it. According to Forbes, being proactive about your healthcare by asking questions and demanding “full and complete answers” is the simplest thing you can do. If you feel you have been the victim of medical malpractice or negligence, you may be eligible for compensation. The most important first step is to seek the counsel of a legal professional. 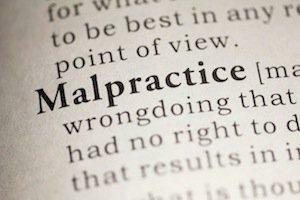 Contact a Westport medical malpractice attorney today. As complex medical procedures increase in popularity, so do the mistakes that accompany them. According to Medical News Today, the number of litigated cases involving malpractice in laser hair removal treatments has surged in recent years. In 2011, Medical News Today reports, “dermatologic surgeons carried out 1.6 million treatments” in the U.S.—one of the most common cosmetic operations performed in the nation. The major risk with laser hair removal practices comes most often from non-physicians “who may have minimal training,” reports The New York Times. In addition to the figures compiled by Medical News Today, the Times suggests that there may be several unreported operations performed annually as well. “The percentage of lawsuits over laser survey that involved a non-physician operator rose to 78 percent in 2011 from 36 percent in 2008,” the Times reports. If you or someone you know has been injured or disfigured by a laser hair removal treatment in Connecticut, you may be eligible for compensation. The most important first step is to seek the counsel of a legal professional. Contact the law offices of Richard R. Raphael for a free initial consultation today.